요하네스 버그 - 요하네스 버그에 위치한 호스텔. 요하네스 버그의 지도, 요하네스 버그에 위치한 호스텔에 대한 사진 및 리뷰. 요하네스 버그에 호스텔, 저렴한 호텔, 아파트, 게스트 하우스, B & B를 찾고 계십니까? 요하네스 버그의 모든 최고의 가격은 kr.Dorms.com안에 있습니다. 매달 수천명의 여행자들이 이곳에서 예약을 진행하시듯이 고객님도 요하네스 버그의 저렴한 가격에의 호스텔을 안전하게 예약하실 수 있습니다. 웹사이트에 고객님이 원하시는 핫 트렌디 시내 주변의 호스텔을 쉽게 찾을 수 있으며, 대학가, 기차역, 공항, 모든 요하네스 버그의 관광명소에서 가까운 호스텔을 찾을 수 있습니다. 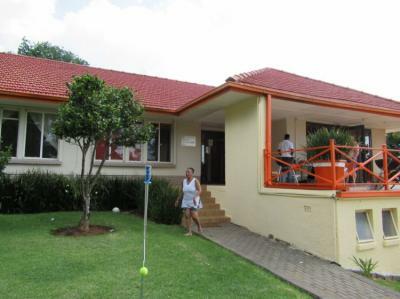 Botanical gardens, Emmarentia Dam and Marks Park sports fields are arround the corner, walking distance to greenside area with restaurants, bars and cafe's. Easy access to public transport and shopping malls. 호스텔은 보행자 전용 도로에 있으며, Wits university의 홈인 학생들이 많은 Braamfontein 지역에 있습니다. 이 지역에는 많은 카페와 커피숍, 음식점, 바, 양조장이 있습니다. The price was excellent (very affordable, I always look for something cheap but good). I had a single room, and it was clean. Basic need is kept. Main reason in getting a room - so I can sleep when I want to. Bed was also comfortable. The staff were really kind and always more than willing to help. Location is great, if you want to be in the city center. I would recommend this if you're in the area!! beautiful location. quiet and safe neighborhood. Room was clean and beds were comfortable. The price was cheap, but the service was great. Very friendly and helpful hosts.